Films that have priests as protagonists are not ones I usually enjoy. 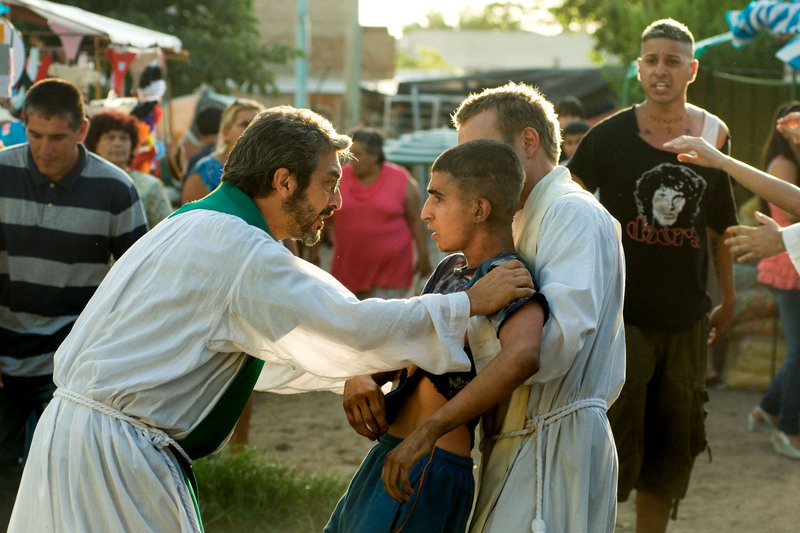 I cannot make that ‘leap of faith’ where religion is concerned however co-writer director Pablo Trapero is more interested in social injustice than less worldly matters. His Carancho (Argentina-Chile-France-S.Korea, 2010) focused on an ‘ambulance chaser’ lawyer, played by Ricardo Darin, also the lead protagonist in White Elephant, and the practice of feigning traffic accident injury (‘feigning’ doesn’t quite cover it: sledgehammers and knees feature…). Here Fr. Julian is trying to turn a derelict hospital (the ‘white elephant’) into a living space for the poor. I particularly liked Trapero’s use of steadicam, as it weaves through the ghetto, following the protagonists, as it roots the place in reality: this isn’t a film set. The performances, too, are excellent; featuring also, like Carancho, Martina Guzman as a social worker trying to get the local authorities to help. The Sight & Sound reviewer complains the film is too melodramatic (May 2013) and it’s disappointing to still see critics using melodrama as a term of abuse. However, I also find the climax contrived, even by melodrama’s standards. However, a film that has the poor in its heart can be forgiven as most cinema merely uses them as ‘extras’. The 1960s were a decade of revolution; not least in cinema. Jorge Sanjines’ (as part of the Ukamau collective) The Blood of the Condor – he co-wrote and directed – is one of those rare films: it actually had a direct social impact as it led to the American backed Peace Corps being expelled from Bolivia. It was also a significant contribution to Third Cinema, an attempt to make films about the Third World in a non-western way. Sanjines’ film was about, and for, the peasant Indians of Bolivia and was designed to be watched, and discussed in, communities without cinemas. Hence Sanjines thought he could afford to have a complex narrative structure, which interpolates flashbacks with the present quest of blood needed to save the village leader, Ignacio. Those who presented the movie could explain what was happening and so avoid any confusion amongst the peasants who were not used to complex film language. Despite this, the peasants weren’t sure about what was happening and Sanjines didn’t repeat such narrative complexity again. He realised that he’d fallen into the trap of imposing an unsuitable form upon the group he was trying to help. Ignacio is initially presented as a drunkard, wife-beater, angry that she hasn’t produced more children. Hardly the way a western film is likely to present a heroic figure. 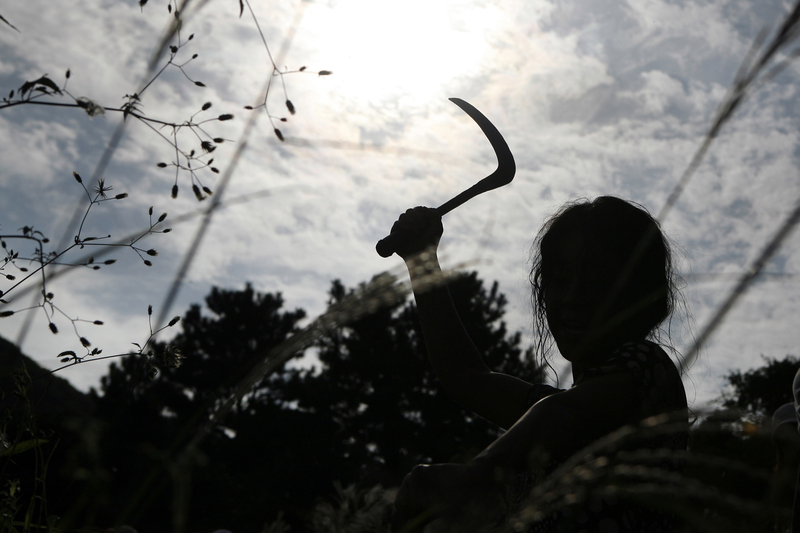 After the credit sequence, which states the film includes the peasants of Kaata, Ignacio, and a few others, are marched away and shot by men under orders of the local police chief. Paulina, Ignacio’s wife, gets her husband to his brother, Sixto, in the city; however, in order to save him they must find blood or money to pay for a transfusion. The film then intercuts why Igancio was shot with Sixto’s quest for blood and money. We discover that the Progress Corps, a thinly disguised Peace Corps, are actually sterilizing the Indian women, when performing operations, without permission; an attempt at genocide. When Ignacio finds out he declares that the same will be done to the Americans. 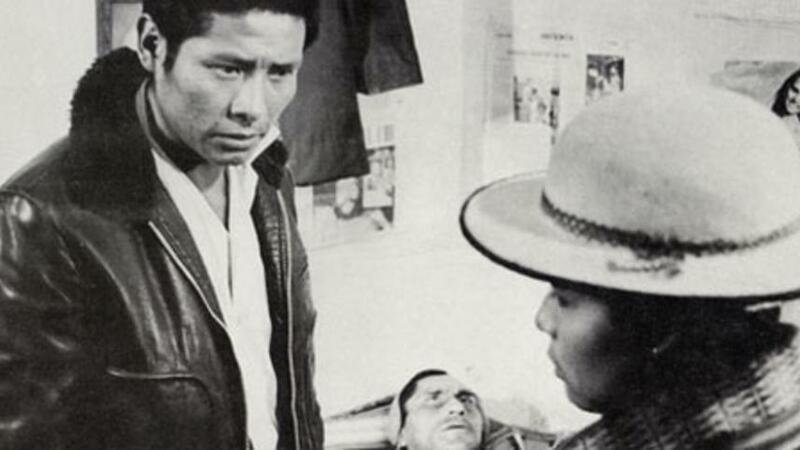 Although Ignacio is a fictional character, and it appears the Sanjines was using sterilisation as a metaphor for the destruction of indigenous culture, the Bolivian government, after trying to ban the film under pressure from the Americans, eventually expelled the Corps. “The work of revolutionary cinema must not limit itself to denouncing, or to the appeal for reflection; it must be a summons for action.” (quoted in Gabriel’s Third Cinema in the Third World: The Aesthetics of Liberation, incidentally this seminal book is available here). The final shot of the film is of upraised rifles, which are freeze-framed; an undoubted call to arms against the imperialist aggressors. These are not just identified as the Americans, middle class Bolivians too, the descendants of colonialists, are in Sanjines’ sights as they define themselves against the Other of the Indians so they can feel more like the First World westerners. At one point, Sixto is forced to wait at a country club in the hope he will be given blood for his brother; however, the doctor is too full of his own importance to be bothered with Indians. In 2005 Evo Morales was elected President of Bolivia, the first indigenous person to gain such elevated office in Bolivia. It would be nice to think that films of Third Cinema sowed the seeds for such advancement. However, as the multinational corporations, and hedge funds, extend their tentacles everywhere they can screw some profit, maybe it’s time for a Fourth Cinema. This would take on the values of Third Cinema and use them to hold up a mirror to the whole capitalist world so we can see how economic and ecological disaster is on our doorstep. PS the whole film is available, subtitled in English, on YouTube. It looks like a videotape TV recording but the quality’s fine. 21st July: the post was updated to correct the statement that the Peace Corps did actually sterilise Indians. I was surprised by how much I enjoyed this attempt by Rank to break into the American market (known there as Flame Over India), although the action sequences are relatively tame there is some crackling dialogue, particular from Lauren Bacall (above). Frank Nugent, who wrote the screenplay for The Searchers, is one of the writers and this ‘India in the days of Empire’ set film can certainly be considered a western; the plot’s not a million miles away from that of Stagecoach (1939). Captain Scott (Kenneth More) has to bring a Maharajah prince to safety of face the wrath of Moslems (the term used in the film). Although, unsurprisingly, the film validates the civilising power of the British Empire, post-Suez Britain knew its place, even if it wouldn’t admit, which might be why the journalist (Herbert Lom) is given many anti-Empire lines. From a 21st century perspective these arguments seem eminently sensible, and no doubt where present as an anti-imperialist discourse at the time the film was made; however, the journalist turns out to be a murderous Moslem thus the film discredits his views. More’s Scott is of the entirely unflappable variety that is more laughable than admirable now. Indeed, to an extent, the film mocks him, and the British. Bacall’s character notes that the British don’t do anything until they have a cup of tea and by then it’s too late. Bacall, and such lines, no doubt, was part of the film’s intended appeal to the American market; I wonder how the British understood the sentiment at the time. 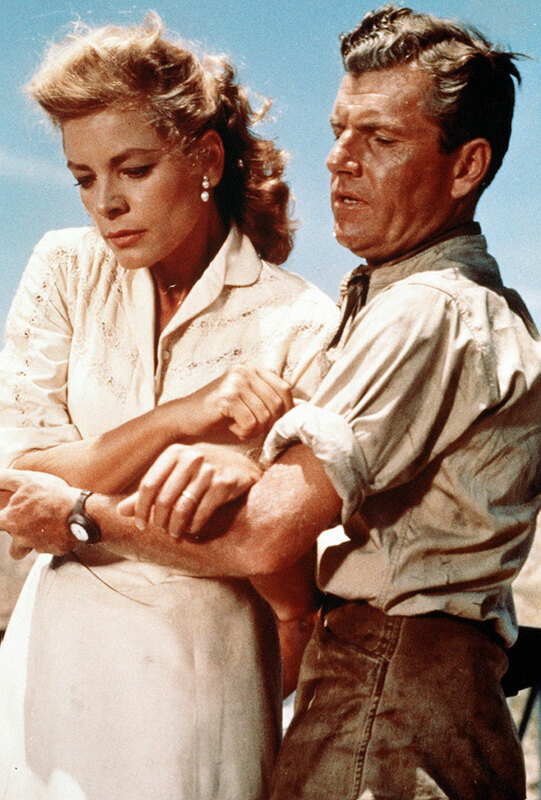 Bacall also speaks her mind: she apologises for doing so but says ‘That’s what I think it’s for.’ Another way the British are (slightly) criticised is through the reference, in the introductory voice over, albeit indirectly, to the fact that Partition was responsible for causing violence. An arms dealer, also on the ‘stagecoach’ (actually a train), comes in for much criticism and is last seen being asked, by an army general, for his new weapons. Whilst there’s lots of ‘gung ho’ ‘boy’s own’ stuff, room is given for the aftermath of a massacre: there are consequences to the adventure. The British film industry can no longer afford to make such action pictures, apart from Bond; definitely a case of things were different in the old days.